The current Kakita family Daiymo is Kakita Kimihoshi. She has been called the sharp Tenjikubotan or the Sharp Dahlia. She is a keen duelist and one of Kakita Hiroshi's best students however often others are more then willing to fight her battles for her due to her pretty face. Asahina Toshio, Asahina Daiymo the Shugenja was looking for his missing little sister who vanished after being held Hostage by a Scorpion Family. Asahina thinks very poorly of the Scorpion Clan and will aid any who wish to act against them. Other then that Asahina Toshio keeps the code of his family for not causing harm very seriously and tends to throw himself into studies for the benefit of his family and clan. Daidoji Sanyu Daidoji Daiymo the Laughing Spear, a serious man at most time Sanyu is loyal and firm, however the man has a tendency to laugh at the oddest times, it has been thought that he has some form of shock however this never seems to slow him down it does take his opponents off guard. Kakita Hiroshi is the current head of the Kakita Academy and renown as one of the best sword trainer in Rokugen. It is very rare he currently shows his skill and is mainly an administrator. Hiroshi was the second child and was not expected to inheritance any lands however his brother ran off to become a farmer leaving Hiroshi the unexpected duties over his family lands. Hiroshi had a young man named Seiko come to him, the boy said he was his brother's son and indeed resembled Hiroshi's brother, Hiroshi took the boy in despite having seven children of his own at the time Seiko was one of Hiroshi's greatest student and is currently one of the best teachers at the Kakita Academy also known as the Peasant Crane. The Crane Daiymo is old and tend toward preserving what they have in the courts. 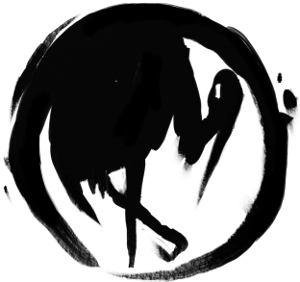 There is some expectation that this will change when the Champion's Son takes over, the Crane Clan now seems to act as if holding their breath.